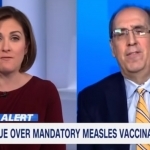 Is the Black Community Finally Waking Up to Vaccine Discrimination? The mainstream media was virtually silent on Dr. Thompson’s revelations in 2014, and so was the African American community. 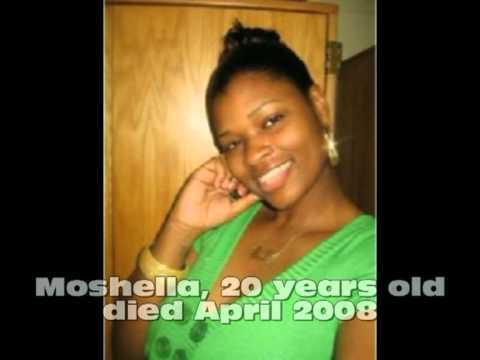 Moshella died after Gardasil vaccination, 5 April 2008, her first day on the job at Trinity Home Health Care. Story here. In 2013 scientists at the Duke University School of Medicine discovered that African American women carry HPV strains not found in the Gardasil vaccine. 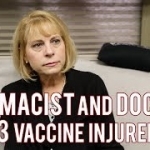 Gardasil, which is produced by Merck and can be administered to anyone aged 9 through 26, includes the HPV 16, 18, 6, and 11 strains only, while African Americans were shown to have the HPV 31, 35, 45, 56, 58, 66, and 68 strains. As news outside the U.S. continues to come in documenting how the HPV vaccine is destroying the lives of so many young women, there is still no vaccine available specifically for African Americans, and they continue to receive the one that has no benefit for them, only risks of life-long injuries. Those HPV vaccine injuries include primary ovarian failure, resulting in pre-mature menopause and the inability to conceive children. 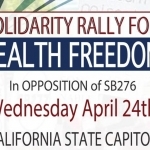 How Will California Vaccine Bill SB277 Affect African Americans? 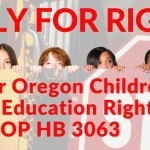 California vaccine bill SB277 seeks to take away parental choice in exempting out of childhood vaccines which are a requirement for school attendance. 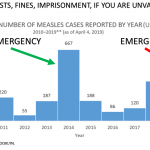 There is no disputing the fact that mandatory vaccines will affect lower-income families in public education the most. Wealthier families will home school, find private alternative doctors to sign waivers, or move out of the State of California altogether. Tony Muhammad at Rally Against CA SB277. YouTube Image. 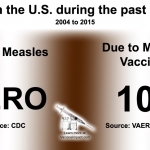 Is the African American community finally waking up to the discriminatory vaccine policies in the United States? 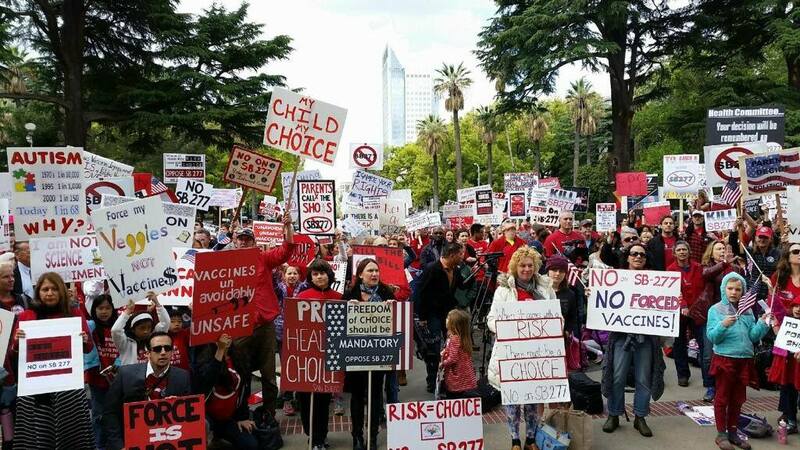 In a rally this week at the California State capitol in Sacramento, several African American leaders spoke out against mandatory vaccinations. 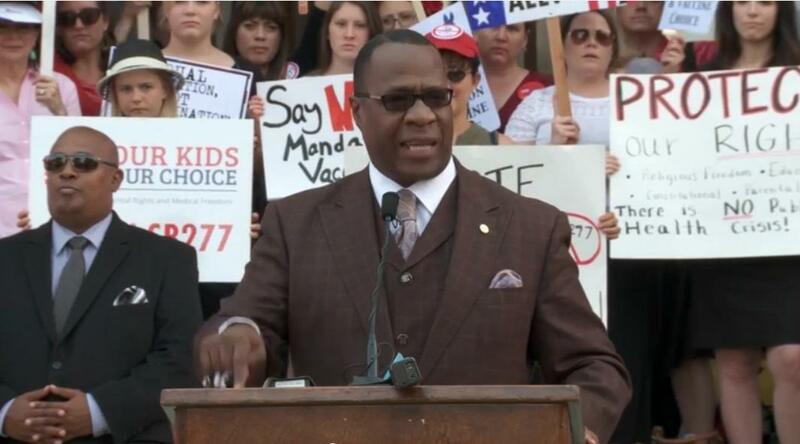 At a rally outside, Tony Muhammad addressed a crowd of thousands of people who showed up to oppose SB277. 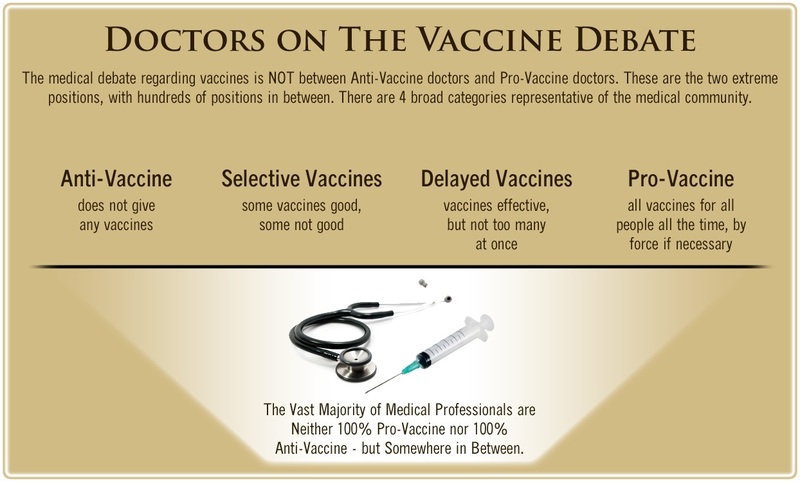 While Tony Muhammad, who said he was representing Louis Farrakhan, may not represent the majority, let alone the entire African American community, they were among the first ones to take a public stance against vaccine discrimination. Tony Muhammad’s speech can be heard here on YouTube. Inside at the Assembly Health Committee meeting, Harvard-educated attorney and California native George Fatheree testified against SB277, and related the tragic story of how he and his wife listened to doctors’s advice and received the recommended childhood vaccines for their sick son, which resulted in him becoming severely disabled with constant seizures. 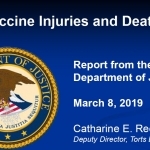 Fearing that they may have a genetic pre-disposition for negative reactions to certain vaccines in their family, they exercised their legal parental right to opt out of vaccines for their next child, a daughter, who has received no vaccines, and is perfectly healthy today. 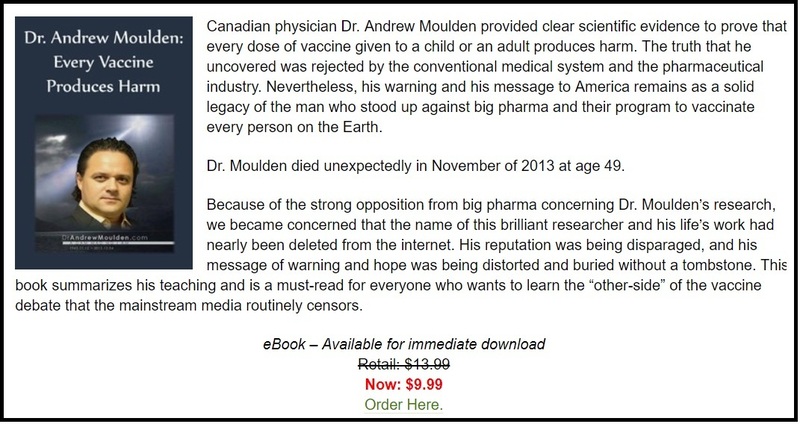 In spite of the overwhelming opposition of citizens against SB277 in California, as well as testimony from many California doctors, lawmakers who many say have sold out to Big Pharma interests, seem intent on passing SB277. This week it won approval from the California Assembly Health Committee by a 12 to 6 vote. 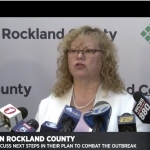 The next two steps in the process are for the bill to go to the entire Assembly for a floor vote. If it passes, then ‪SB277‬ goes to Governor Jerry Brown’s desk for either his signature or his ‪veto.